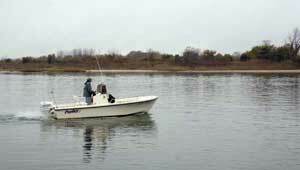 In late October 2007, TPL conserved this 19.9-acre island located in the Shrewsbury River, which drains into the Raritan Bay. During the four year project, the property was transformed from wetlands to uplands, which created unique nesting and foraging habitat for several bird species. Owned by the borough—which plans to create a wildlife preserve—the island is accessible by boat or kayak and will provide tremendous opportunities for bird-watching.